Harrisburg, PA – Governor Tom Wolf today signed commonsense, bipartisan criminal justice reform bills into law, including House Bill 163, sponsored by Representative Saccone, and Senate Bills 915 and 916, sponsored by Senator Greenleaf. 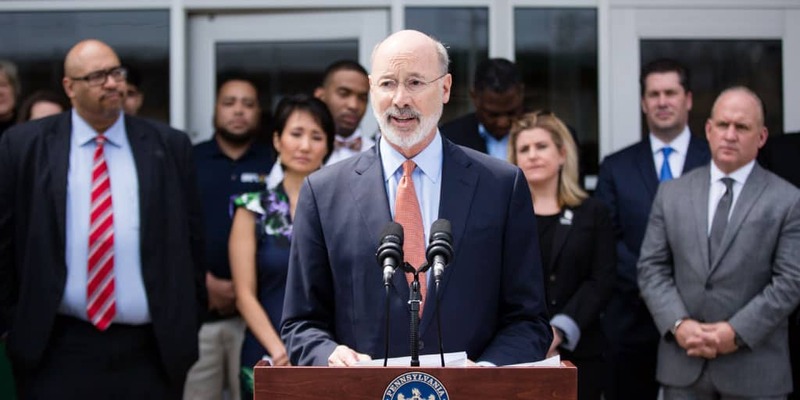 Governor Wolf first called for the General Assembly to pass commonsense criminal justice reform bills in April, and signed Clean Slate legislation into law in June. These new laws expand upon those accomplishments. House Bill 163, now Act 95 of 2018, eliminates driver’s license suspensions for non-driving infractions. “This commonsense legislation promotes smart sentencing reform so that an individual may be able to keep their driver’s license after it was taken away for non-driving infractions,” Gov. Wolf said. “Having a valid driver’s license can make a difference in finding and retaining employment, which can ultimately help with the payment of fines, cost and restitution, and a reduction in recidivism. Senate Bill 915, now Act 146 of 2018, extends the time a convicted individual has to file a post-conviction relief action to one year, from what was 60 days under current law. Senate Bill 916, now Act 147 of 2018, updates Pennsylvania’s DNA testing law to reflect significant advances in technology and the lessons learned by criminal justice professionals since 2002. The legislation removes the supervision requirement that only people serving a sentence can apply for DNA testing. Expanded DNA testing has been used in overturning wrongful convictions and solving unsolved cases to benefit crime victims. The new law also allows those who plead guilty to access testing, requires the commonwealth to identify all physical evidence in a case, allows testing when new DNA testing technology becomes available, and matches DNA profiles in CODIS, the FBI’s DNA database.